From the design concept, to planning, to production, and from integrating digital tools to building contracting operations and installation — Umdasch Shopfitting demonstrated its full range of services. The result is a store in which water, the elixir of all our lives, plays the leading role. 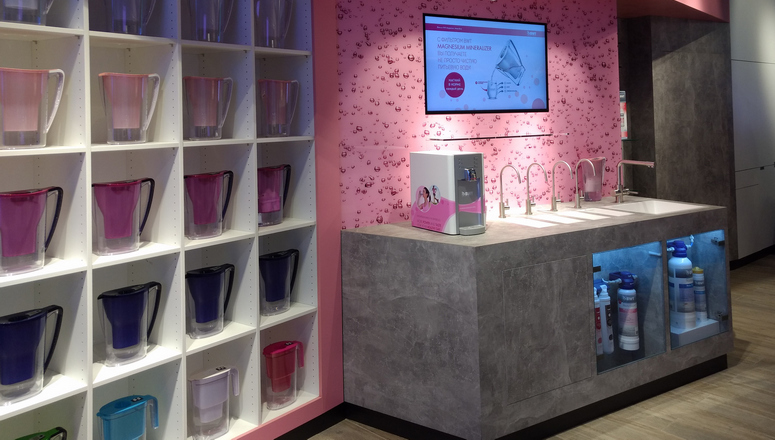 Even before visitors enter the store, water takes pride of place in the shop concept. A transparent LED curtain extends over the entire façade and draws attention with multimedia presentations to the core competence of BWT. 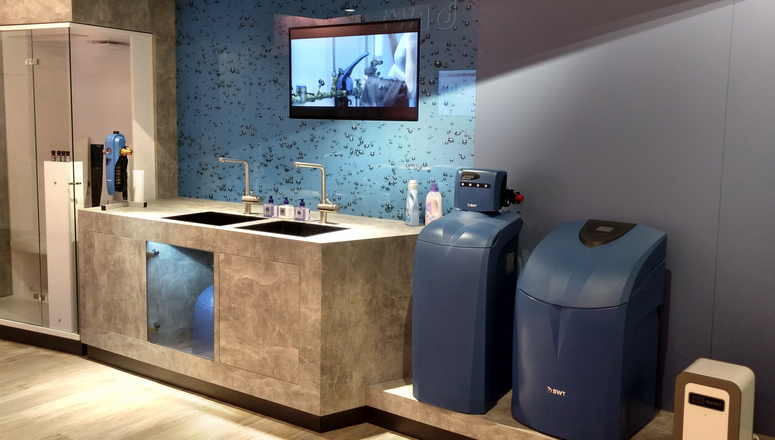 These include innovative water treatment systems for filtration, enrichment with magnesium (for example), and the softening and disinfection of water. This unique presentation is an effective eye-catcher to succeed in the contest for awareness in a central location. The element water continues as a feature inside the store in the form of Plexiglass walls with a design based on water drops. The 60-sq-m sales area harmoniously unites BWT’s two worlds. The pink product line is presented on the left. This includes various table water filters for filtering drinking water as well as enriching it with minerals, thereby presenting a wide range of filter products based on the successful “Magnesium Mineralizer” for the first time. Next to the varied product presentation, customers can sample various filtered and specially enriched types of water at the test bar. Tablets also provide information about the different additives. A glassed-in base cupboard provides a glimpse of the water treatment technology. 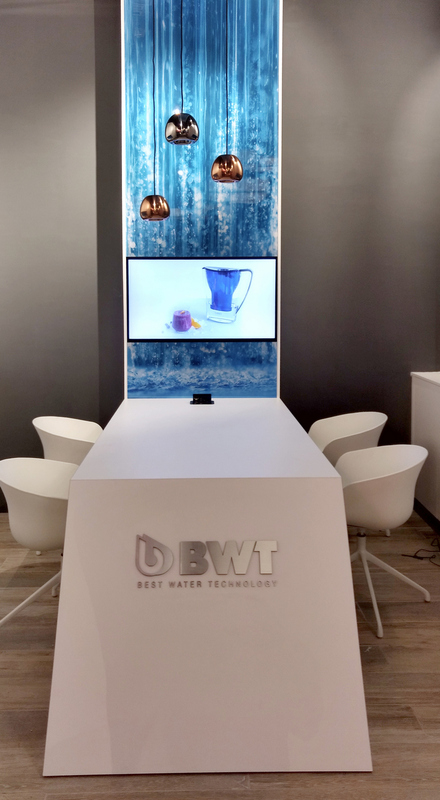 On the other side, BWT provides information about its blue product line, which is primarily concerned with water softening. This is also reflected in the interior, because the water softening installations are presented on platforms and in front of furnishings in a plain, fair-faced concrete look. Here, too, plumbing equipment is available for consultations and the presentation of the softened water. The floor is made of porcelain stoneware with a wood-look finish and provides a link between the two worlds, ensuring at the same time a down-to-earth mood appropriate for the element water. An exciting, accented lighting installation enlivens the diverse products. At the back of this area, the store opens onto a discussion zone decorated in white. An impression of a waterfall focuses attention within the store once more on the precious element water. Consultations and product presentations take place via an info-screen against this background. After concluding the design process and the planning phase with the customer, the store makers at Umdasch brought the BWT pilot store in Moscow to life in just seven weeks. This was an exceptionally short period for production, delivery, and installation in faraway Russia. True to the motto “We take care of everything,” Umdasch Shopfitting’s general contracting project managers implemented the entire construction project. The digital retail experts at Umdasch integrated various digital signage solutions in the form of screens and tablets into the sales space so that BWT could present its advertising messages and product information visually in a contemporary style. 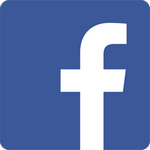 The content itself was created by BWT’s own advertising agency. 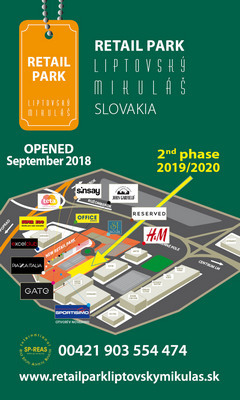 Work is currently progressing on a concept for a shop-in-shop system to enable the international rollout to progress.